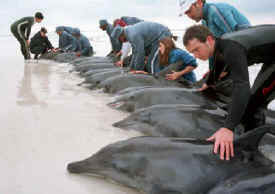 The Mississippi-Alabama Sea Grant Consortium (MASGC) is pleased to announce a request for pre-proposals for the 2011 Gulf of Mexico and South Atlantic Region Dolphin Conservation. The deadline for pre-proposals is 4:00 p.m. Central time on Thursday, December 1, 2011. For more information, please click here for more details on the official announcement!